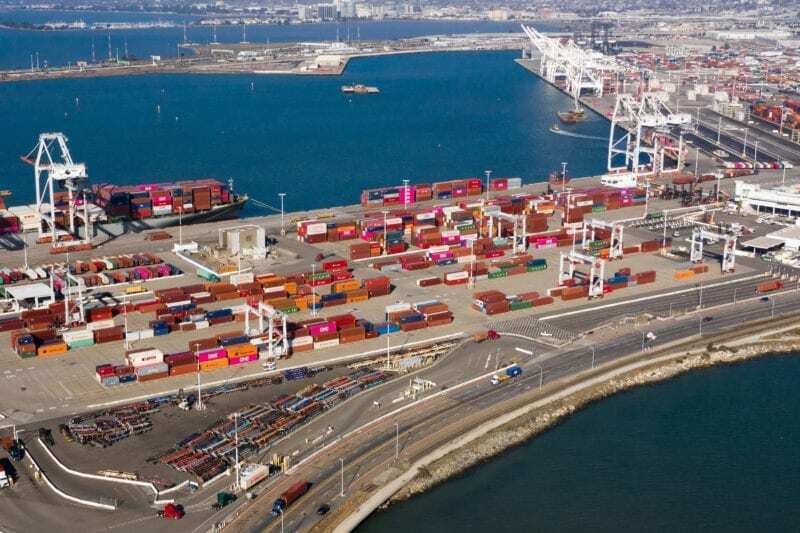 The Port of Oakland has concluded its US$67 million waterfront expansion and announced the opening of a new container vessel berth as part of its partnership with terminal operator TraPac. According to a statement, the milestone signals the completion of a two-year project at Oakland’s second largest terminal. The project has seen TraPac double its footprint at Oakland from 66 to 123 acres and boosted the port’s fleet of ship-to-shore cranes from four to seven. Furthermore, it has also added a third 1,400-foot-long dock for berthing mega container ships, meaning it is expecting to handle greater volume in the future. The expansion at the TraPac-run terminal is the latest in a series of significant investments in the Port of Oakland. In November 2018, Lineage, Logistics and Dreisbach Enterprises opened Cool Port Oakland, a $90 million refrigerated distribution center. Before that, in June 2018, Oakland International Container Terminal completed a $14 million project to heighten four cranes. As part of its expansion, TraPac has said it will raise two cranes. TraPac, which signed a 14-year-lease in 2016 with the port as a precursor to the expansion, handles approximately 15% of the containerized cargo that passes through the Port of Oakland, much of which is refrigerated cargo destined for Asia, in particular, Japan. As well as that, the plug-in spaces for storing refrigerated containers from 388 to 860 and in the summer of 2018 TraPac opened a new gate complex for harbour truck drivers. Earlier in January 2019, PTI explored TraPac’s innovative data project at its flagship operations in the Port of Los Angeles, which saw it implement the PI System from data specialists OSIsoft. That can be read here. Speaking about the expansion at the Port of Oakland, TraPac’s Operations Vice President Brian Bauer spoke of his optimism for future growth.